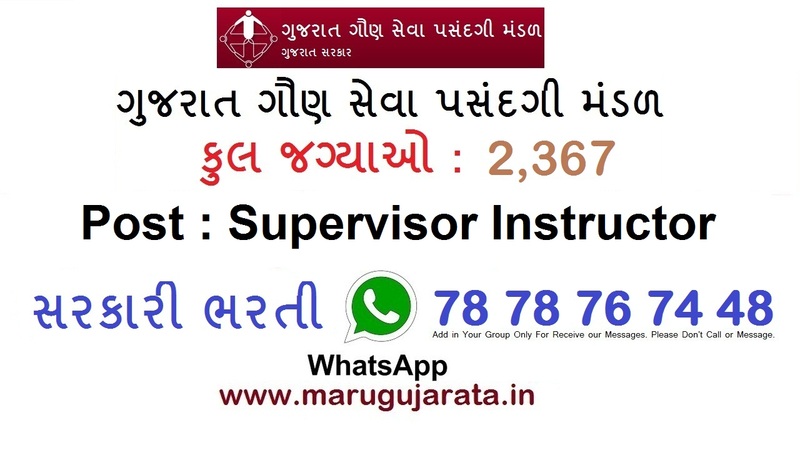 www.marugujarata.in is About New Latest Updates for Government Jobs Sarkari Naukri Recruitment in Gujarat India. Gaun Seva Pasandgi Mandal (GSSSB) has published an Advertisement for below mentioned Posts 2019. Other details like age limit, educational qualification, selection process, application fee and how to apply are given below. News is Useful For All PeopleStudents: Students are really benefitted from watching news channels. News channels fulfil their educational needs and they can be benefitted in gaining good knowledge from news channels. Students can get the latest general knowledge regarding current affairs of the nation and the world. All students can help themselves by watching news channels and getting good marks. News channel will give them good IQ which they can use in quizzes, competitions, debates and aptitude tests. In this way news channels are beneficial to students. Teachers: Teachers can get latest knowledge which they can discuss with their students. The new topics can be held for discussion in the class and in this way the teacher can help the students as well. They will be able to know exact facts and the precise values with the help of news channels. SSC Combined Higher Secondary Level (CHSL) Examination 2019 SSC Combined Higher Secondary Level (CHSL) Examination 2019 : Staff Selection Commission (SSC) Combined Higher Secondary Level (CHSL) published an advertisement for recruitment for SSC Combined Higher Secondary Level (CHSL) Examination 2019.Check more details in below given official notification. 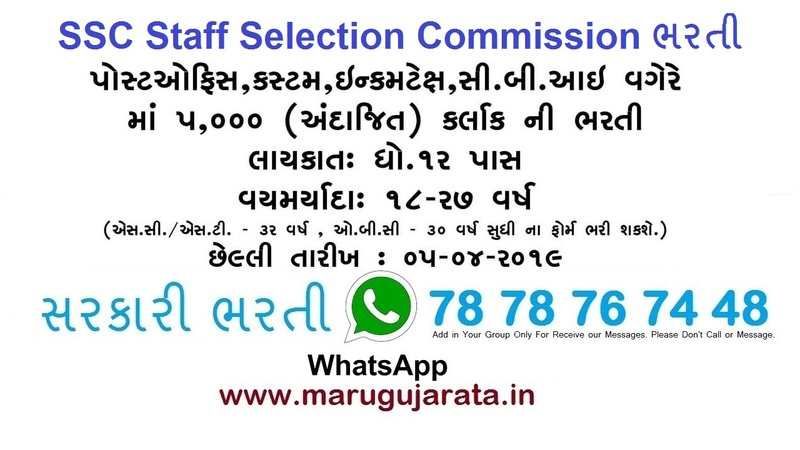 Staff Selection Commission (SSC) conducts Combined Higher Secondary Level (CHSL) exam in order to recruit candidates for the posts of Lower Divisional Clerk (LDC)/ Junior Secretariat Assistant (JSA), Postal Assistant (PA)/ Sorting Assistant (SA), and Data Entry Operator (DEO). Railway Recruitment Boards (RRBs) & Railway Recruitment Cells (RRCs) has published Recruitment for 1,30,000 Posts 2019.you can check for more details from below. Hello Gujarat and India Job Seekers Friend here is a opportunity for you to fulfill your Job dream. Recently, released Vacancies for given post. Here, we have mentioned the complete details regarding this Latest Notification. aspirants who are eagerly waiting for this Notifications can make utilize this opportunity. So, candidates must check your eligibility once to apply for this Jobs. As well, candidates must have to submit their Application Forms before the closing date. 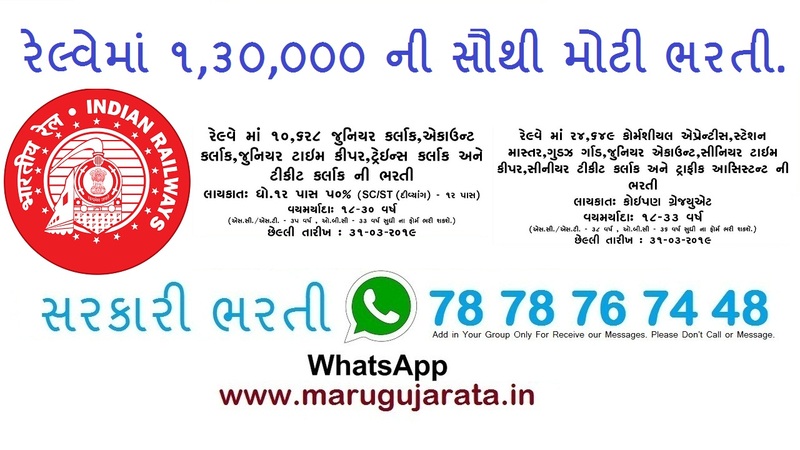 Read Carefully Official Advertisement Notification from his Official Website Before Apply and Stay Connect With Maru Gujarata (www.marugujarata.in) For New Latest Updates Recruitment Jobs. This Exam has declared result of Examination. Candidates, who have taken this examination which was held on Exam Date at various exam centres across country, can now check their respective result from the official website. So, all the candidates may go through the link below and check their result. RAILWAY D GROUP MARKSHEET DECLARERRB Group D Exam 2018: Centre, Date, Shift Details Login Started, Know How To DownloadRRB of Indian Railways has activated the login window to know RRB Group D exam centre, exam date and exam shift for the Computer Based Test (CBT). 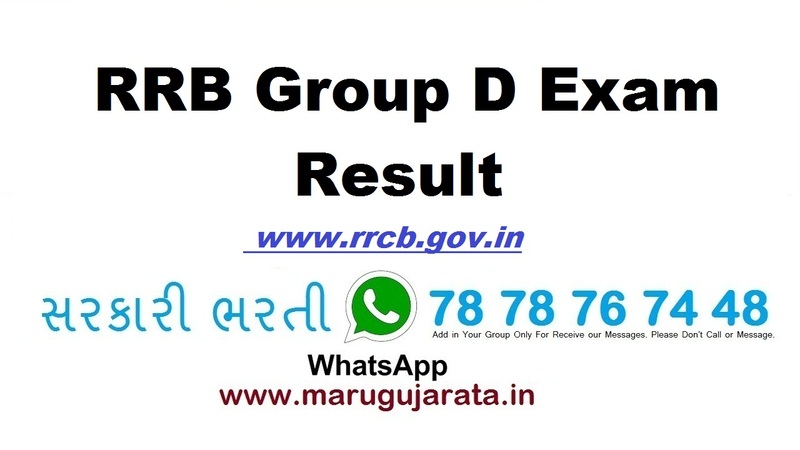 Updated : September 09, 2018 14:20 ISTRRB Group D 2018 exam date, time, session details expected soon. The Modi government's major decisions before the 2019 Lok Sabha elections are already there. 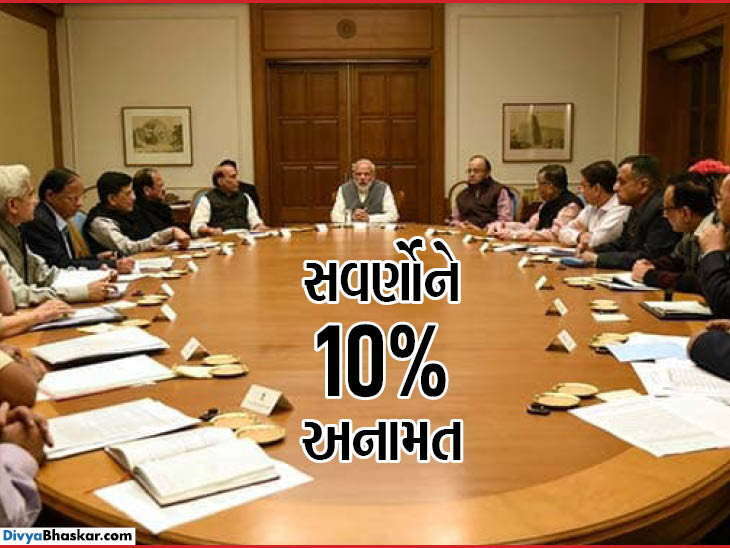 In the Cabinet meeting held on Monday, it has decided to give 10% reservation for the entire tribe. Looking at the displeasure of the seasons seen against the government for some time now, this big decision is being banned. Before the Lok Sabha elections, Narendra Modi government has made a tremendous decision. 10% of the people of economically backward castes have sanctioned. In the year 2018, the SC / ST Act was taken by the Modi government, the decision of the Supreme Court was changed. Following the cabinet approval, the Narendra Modi government will now move to ammend the Constitution in order to grant this 10 per cent reservation for economically weaker upper castes. Board Name: Gujarat Police Recruitment Board. Name of the Post: Constable, Jail Sepoy Posts. No.of Vacancies: 9713 Posts. Official Website: www.ojas.gujarat.gov.in Job Type: Government Job. Job Location: Gujarat. Apply Mode: Online. Category: Question Papers. Add 78 78 76 74 48 in Your Group.